I had so much fun with this theme kit. Everything you need is always included. 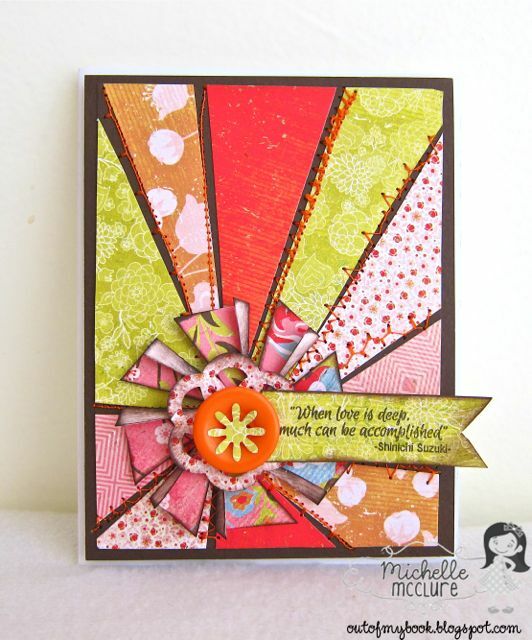 The perfect patterned papers, the perfect stamp set, amazing embellishments and perfectly matched cardstock. Each month, Paper Made Bakery delivers one FABULOUS kit. I challenged myself to not make an Asian themed card for today. 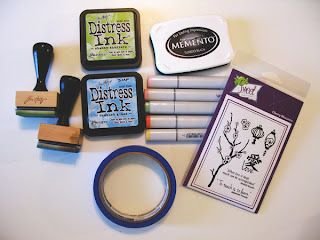 I really think this kit so versatile and the elements can be used for just about any occasion. Maybe a wedding, anniversary or engagement card perhaps? It has been tons of fun playing with this kit, but Monday we have a new one to show off. 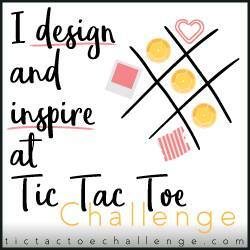 We will have a blog hop, prizes and inspiration galore. See you then. Tomorrow is the last day to submit your Design Team application!! Don't miss out on this awesome opportunity! Click HERE for all the details. We're looking for passionate paper crafters who are enthusiastic about showing their unique creativity while using loads of the best product in the industry...not to mention working with the greatest group of supportive ladies in the biz (not that you crafty men shouldn't apply -- all are welcome!) We'll accept applications until 11:59 p.m. on Friday, June 29, 2012. Monday, July 2 is our July Fresh Baked Kit Release Day and Blog Hop!! Join us early Monday morning and start your week off with loads of eye candy featuring our new Paper Made Bakery kit, and I'm sure we'll have a giveaway or two! I can tell you this...this is guaranteed to be the most popular kit we've had yet! Congratulations to Charity Becker and Laurel Seabrook, our Likeable Giveaway winners! We so appreciate our PMB fans -- and we've got over 300 now! 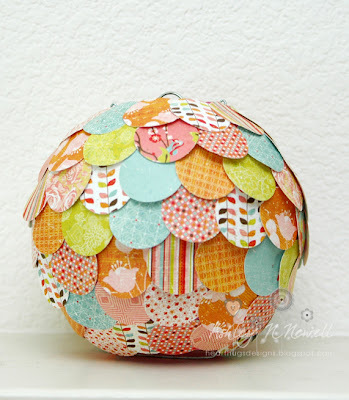 Plus, we love to share the joy of paper crafting by giving away lots of fun stuff...stop by and see what's cookin' every day! Hi friends! 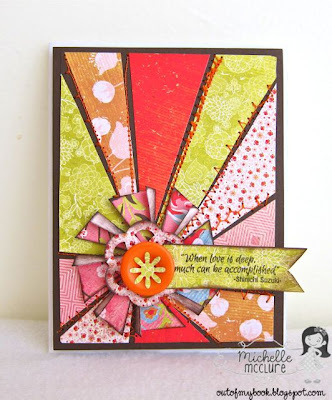 It's Ashley from Heart Hugs Designs to share an altered project I made with this month's Cherry Blossom kit. I can't believe it's the end of the month. My kit looks almost brand new even after all these projects I've made! 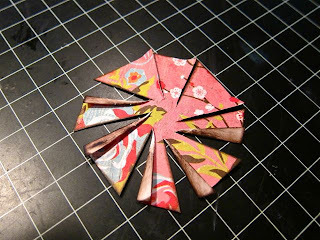 This project is very EASY but a little time consuming. 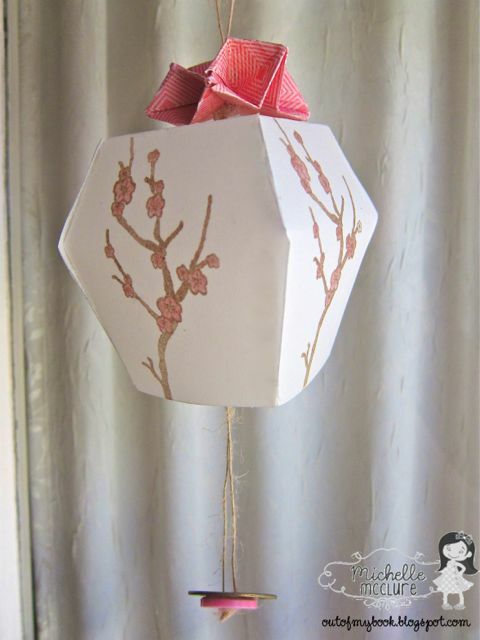 This was made with a small paper lantern I found at the $1 section of Target. When I tried it put it together, I accidentally pushed the metal through the tissue paper, oops! Well, no problem, just cover it up and it's even better than before! ~First I took all the paper I've cut into this month and punched circles out of it. I actually had to use a couple more sheets because I wanted a variety of papers. 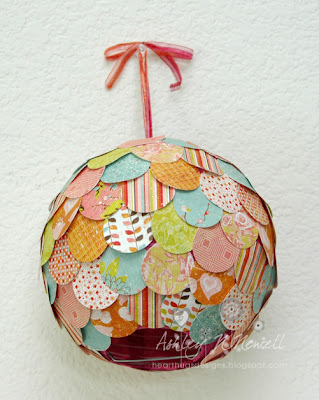 ~Second, glue all the circles to the lantern. Here's a picture of the lantern hanging. This is not the ideal way to hang it but you get the general idea. Here's a picture of it from the front, sitting on a shelf. Have a great day friends! 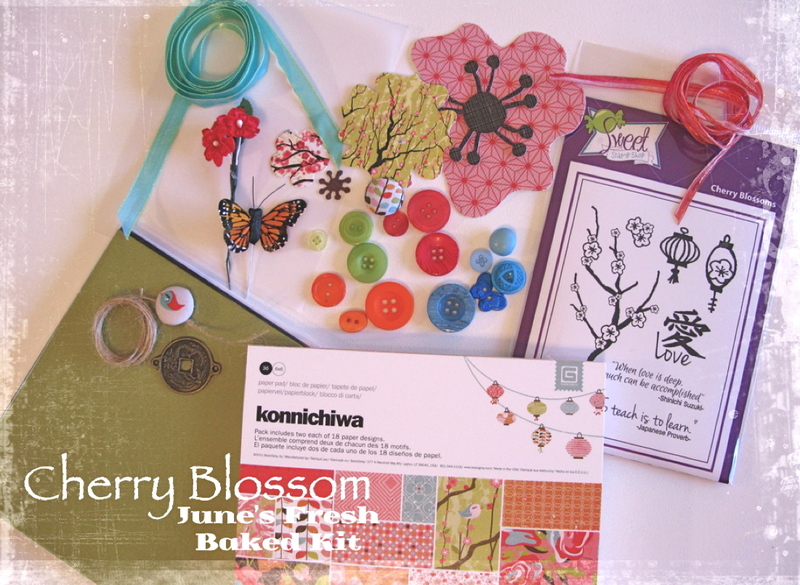 Don't forget to pick up your Cherry Blossom kit, there are only a few more left! 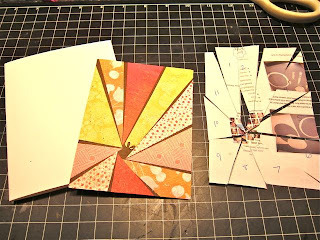 I'm using a bit of scraps for this card. After I cut the letters for my first Arigato card, I had this shadow image left. I looked at it this week and thought it would make a pretty cool card. Awesome, right? I used some other leftover scraps to create the ribbon banner. Sewed some straight stitching around the edges and then popped it up on the Java cardstock. I love the bit of dimension the cutout words creates. 1. Cut cardstock for card base. 2. 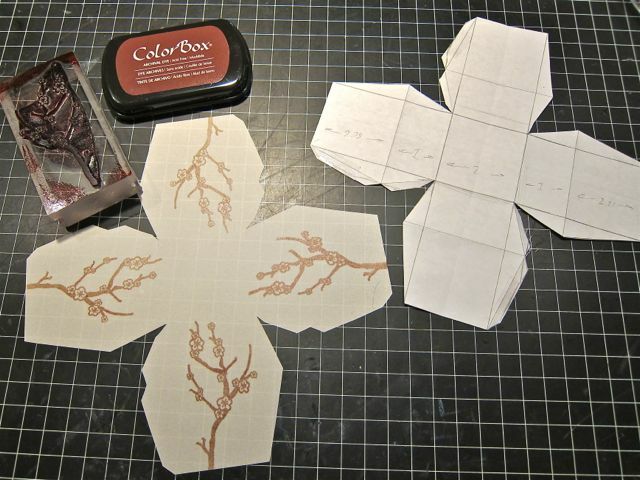 Cut patterned paper panel (a bit bigger than card base), as well as small strips for bottom design. 3. 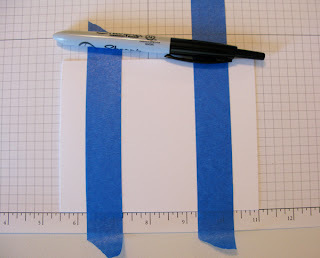 Attach small strips of patterned paper to panel. 5. 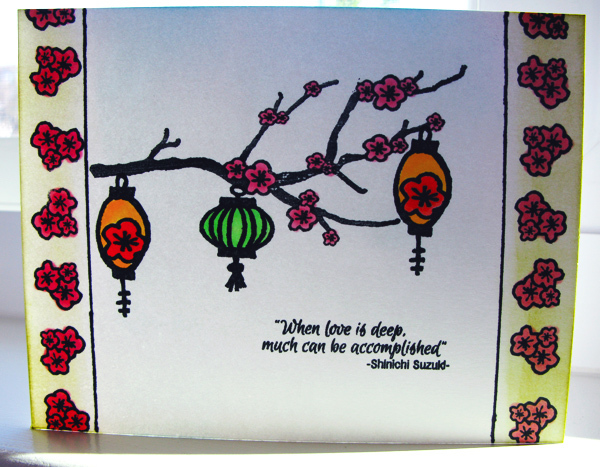 Stamp branch image on white cardstock and pink patterned paper. Fussy cut and adhere to panel. 6. Attach panel using foam dots. 7. Add gems and bow. That's it for me today! You can NOW sign up for the Baker's Dozen subscription for the Fresh Baked kits. Your kit will arrive to you in your mailbox every month and you get a sweet little discount too!! Check out all the details HERE! And if you are lucky and live in or near the San Diego area--there are classes available at the PMB!! Check out the schedule HERE. You don't want to miss out on this super cute kit or amazing classes! **NOTE:: Most importantly, don't forget about the Paper Made Bakery design team call!!! 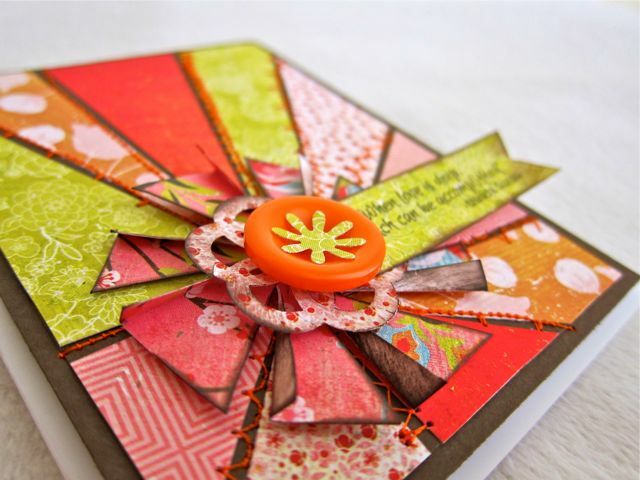 If you like to work with a talented group of ladies and create using amazing kits that include papers/embellies/ribbons/and more...then you need to check out this call!!! You can find all the details HERE! Konnichiwa, everyone! Today I'm going to show you how to create a really pretty card made with just one layer...no paper piecing, no ribbons, no additional layers whatsoever. Might sound boring, but it's the complete opposite. It's a challenge to create depth, texture and perceived layers without actually adding additional pieces of paper or other embellishments. Here's how I got started. I pulled out my Cherry Blossom stamp set that is included in our June Fresh Baked Kit, aptly called Cherry Blossom. 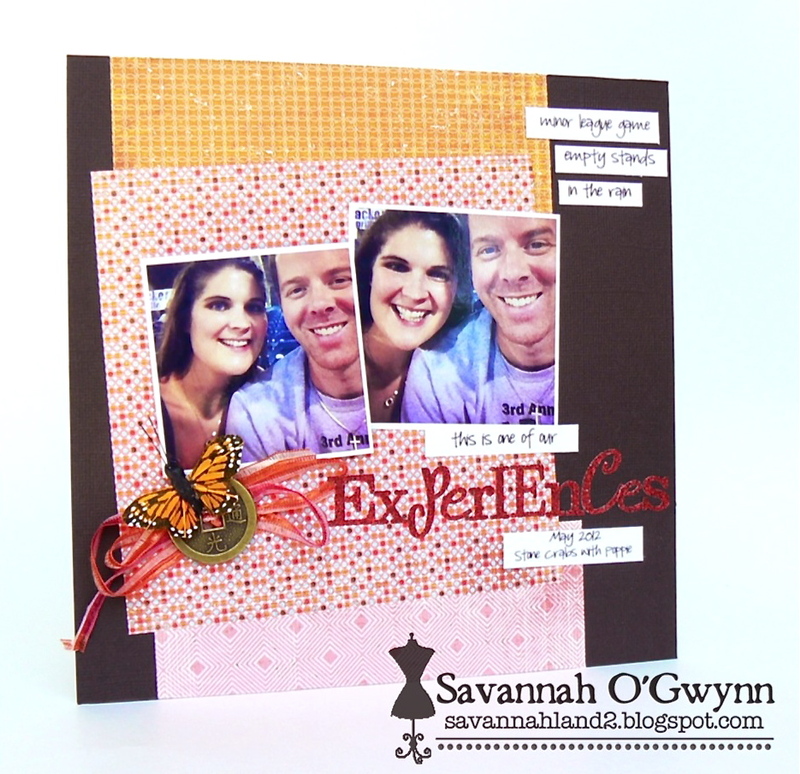 The set is by Sweet Stamp Shop and available only in this kit during June. I used a simple black ink border, some Copic markers, Distress Inks and sponge blending tools and some blue painter's masking tape. I cut some Neenah Classic Crest cardstock in Solar White to 4.25" x 11", then scored and folded my card to get a 4.25" x 5.5" fresh white card front. The stamp set includes a really pretty cherry blossom branch, and I wanted to make that the focal point without making it seem like it was simply suspended in midair, so I blocked off .75" on each side of the card with blue painter's masking tape. I drew a line with a fine black marker to create borders. 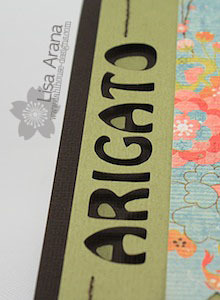 I stamped the little cluster of cherry blossoms along each border and then colored them with Copic Markers. The branch was stamped and then the paper lantern images were "hung" from the tree branch. 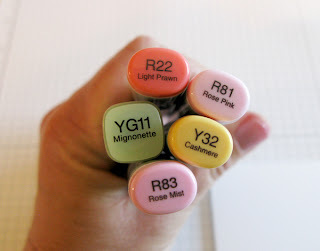 Everything was then colored in with Copics. Here is the selection of marker colors I used. I wanted to give the card some depth, so I used the foam blending tool and Distress Inks in Shabby Shutters (green) and Tumbled Glass (blue) to blend the inks in a sort of crafty "scrubbing" motion. This technique provides the blue sky and the bright green background to the blossom borders. So you see, this is a one layer card -- ink on paper. Very simple, yet very striking! I love the lanterns in the Sweet Stamp Shop set found in this month's kit and on all the DT cards and wanted to make a 3D one. 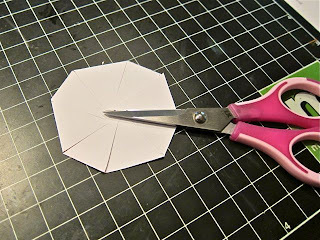 I searched for lantern cut files, hand cut templates and tutorials but couldn't find the shape I wanted so I designed my own. 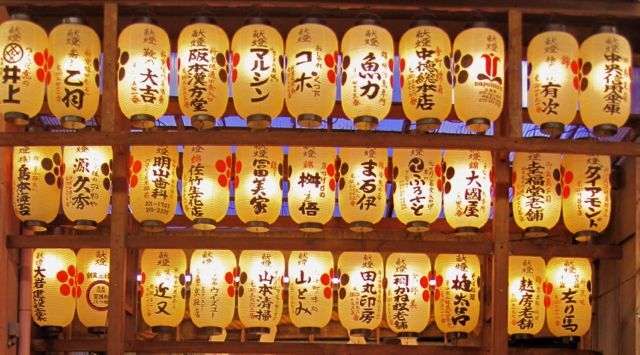 When I visited Japan a few years ago, I saw numerous lanterns hung at temples. 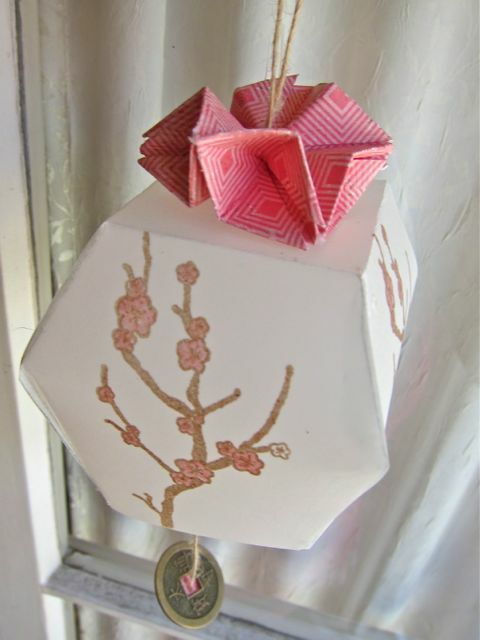 You could purchase a handmade paper lantern, have your name written in calligraphy to hang at a specific temple for a specific purpose, like if you wanted success at work or school or good health. The shape of the lanterns were oblong and very beautiful when lit. This was taken at the Nishiki Tenmangu Shrine which I visited because they sold Hello Kitty amulets. 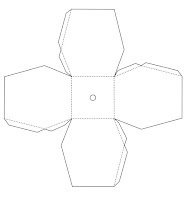 But in my mind I was imagining a shorter more compact shape, like the sky lanterns used during Chinese Lantern Festival. These are released in the air for obtaining good fortune and prosperity in Taiwan. I drew a template onto a piece of 8.5 x 11" paper and cut it out. I traced the template onto a piece of 8.5 x 11" vellum and cut that out. 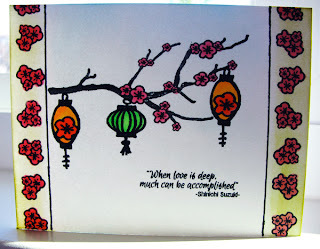 I then stamped the cherry blossom image on each of the four panels and colored in the blossoms with a pink Copic marker. First I used a water-based ink pad and the image kept smearing when I touched it. On my third lantern below I used an archival permanent dye and then the image was intact. I folded the lantern and glued it together on the tabs. To finish it off, I folded a modular origami star for the top using a piece of Konnichiwa paper cut into six 2 x 2" squares. I ran a folded length of twine in half and threaded both strands through the top of the lantern and anchored the bottom with a button and Chinese coin. It turned out really cute and is about 3 x 3" at the widest point. I did add a pieced of 8.5 x 5" vellum to the kit to make this, or you can use the vellum included in the kit to make a smaller version. The lantern was actually quite easy to make, the origami star took longer and was more complicated than the lantern part. In case anyone wanted to make this, I didn't want to give out the pencil drawing I used, so I recreated it on the computer in two versions. Version one is for you to print out and use as a template to hand cut. 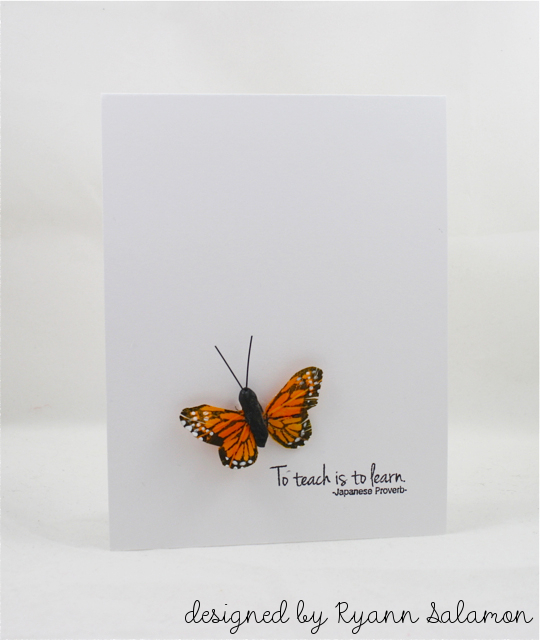 Version two is a downloadable cut file for your Silhouette. You can scale it larger or smaller to fit your paper size. 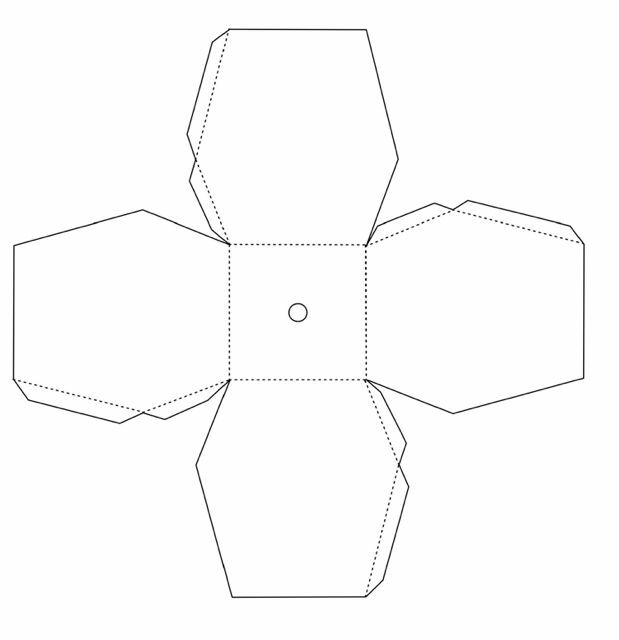 I designed it to fit a paper width of 8.5". This is my first time sharing files, so I hope it works for you and that you like it. Thanks so much for stoppin' by. 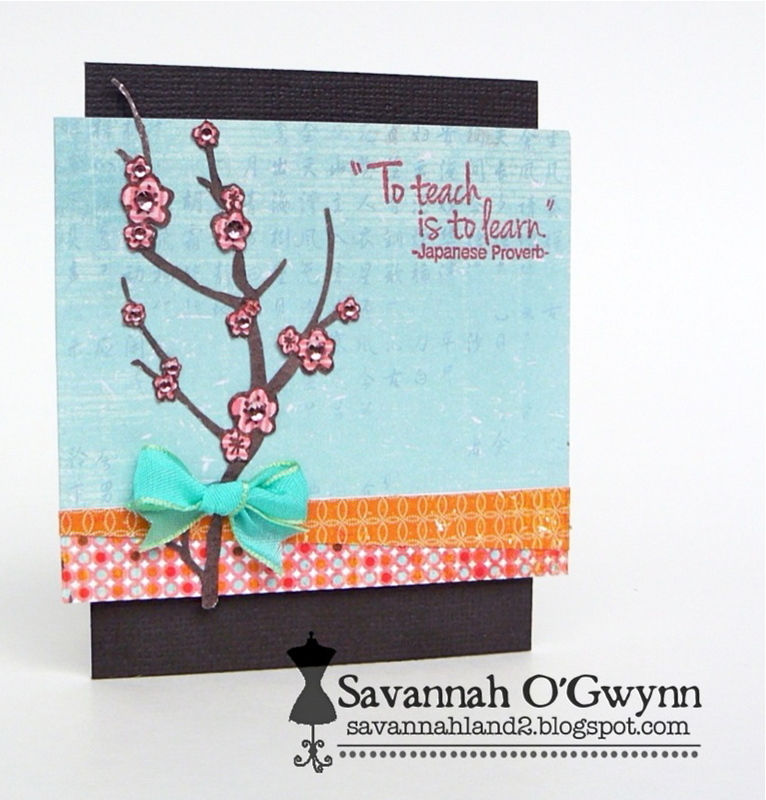 It's Stephanie here with another fun card Using Cherry blossom. 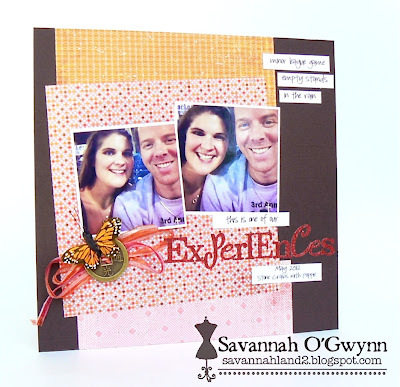 I love adding banners to my card lately with them being all the rage right now it's hard not to incorporate them into my cards. 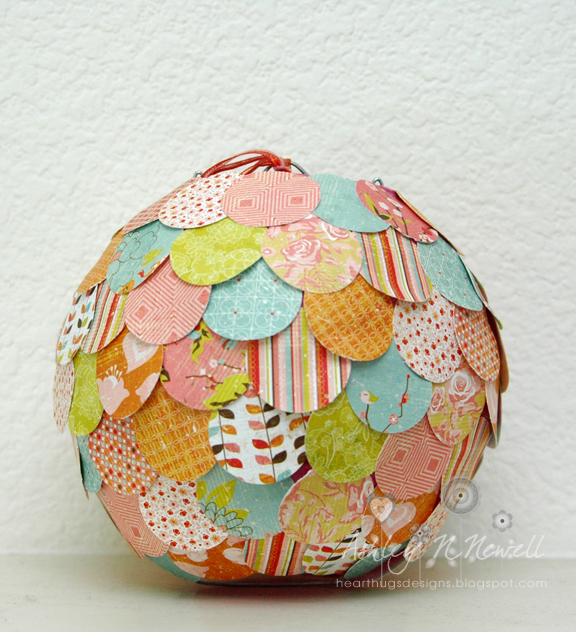 It's also a great way to show off these beautiful bright papers!!! 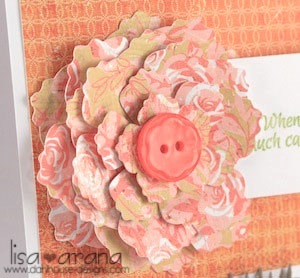 I also just love these flowers they add the perfect touch to your project!!! Happy Sunday, Paper Made Bakery friends! 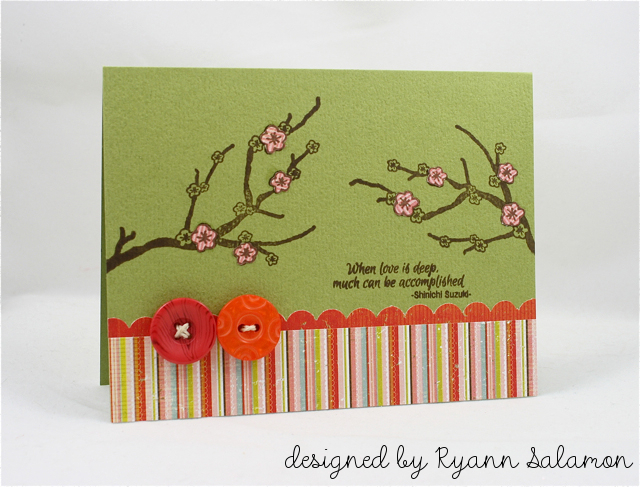 Ryann here with another Cherry Blossom card to share with you today. 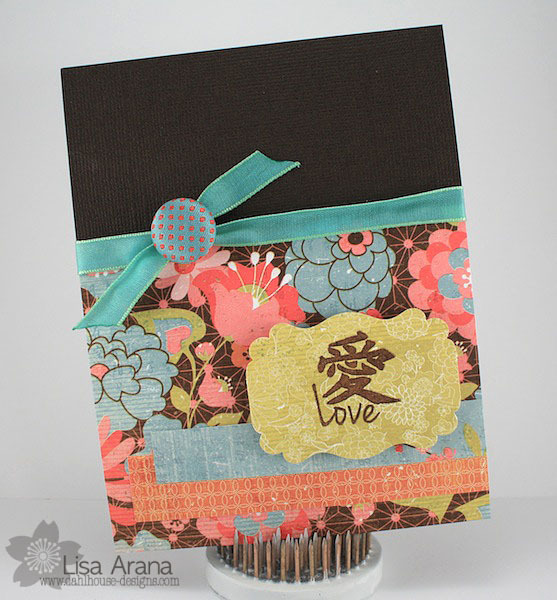 I really let the patterns of the Basic Grey papers and die cuts be the focal point of my card. 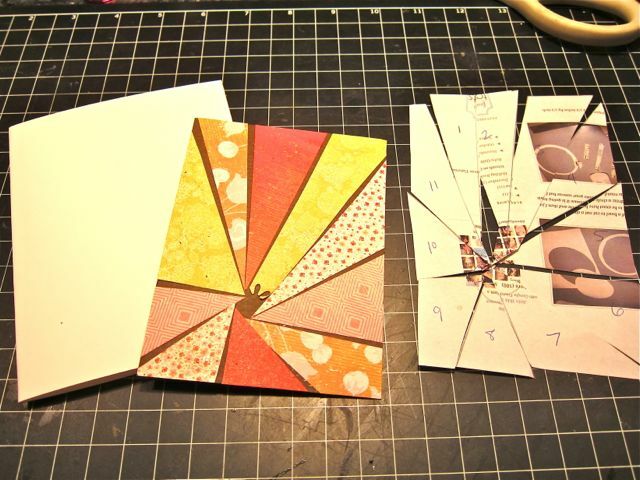 Nothing fancy and very easy to mass produce if you were making a card set for a gift! 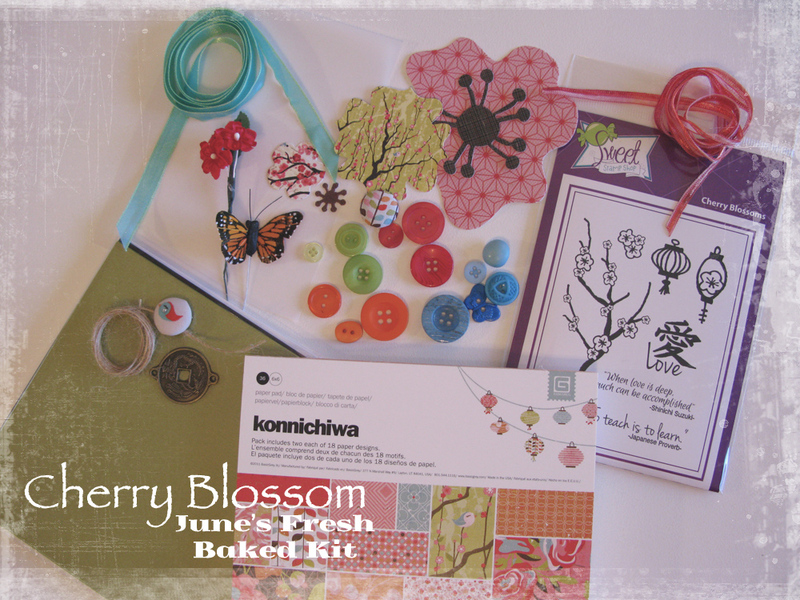 Be sure to check out the full Cherry Blossom kit HERE. There are only a few left so don't wait too much longer if you were still thinking about purchasing a kit for yourself! Eeek, I still just adore looking at this kit. I am back with another fun card from this kit. 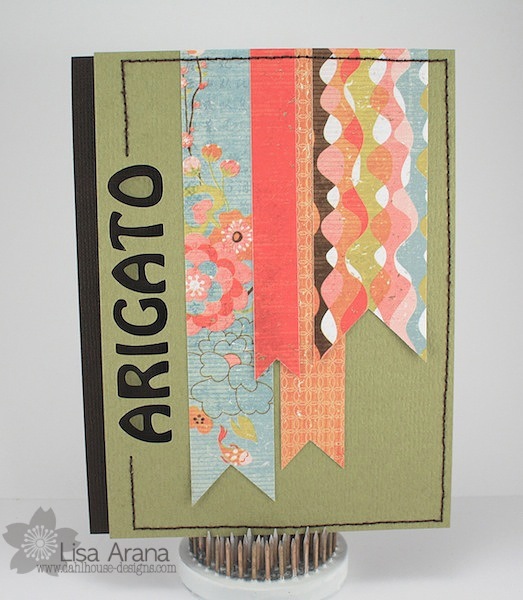 I got carried away by all the lovely patterned paper in the Konnichiwa paper pad. They are all so lovely, it is hard to limit them. I used 4 of my favorites today. In the embellishment kit, you will find the green/teal ribbon and a fabric brad. Don't you just love that fabric brad. Polka dots... teal and red. Yum. The love stamp finished it off so nicely. I'll see you next Saturday.